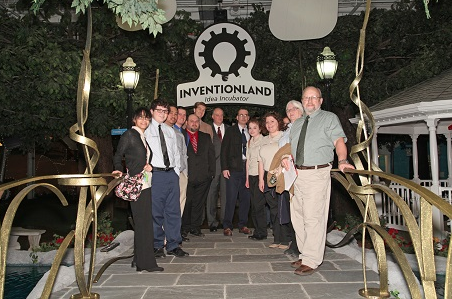 DuBois Business College Kicks off Innovative Coursework with Inspiring Inventionland Tour! Newly-enrolled Inventionland Institute students from the DuBois Business College kicked off their semester with an innovative look into the facility that inspired their curriculum, Inventionland! 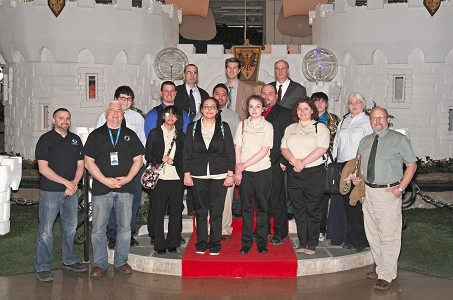 The Inventionland Institute officially began on campus Tuesday, April 7, 2015; but, just two days into classes, the students and their instructors took an eye-opening field trip to Inventionland in Pittsburgh. 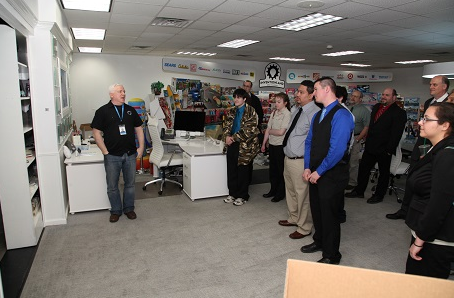 According to Inventionland Executive Director of Design Nathan Field, who works closely with students and teachers that have adopted the innovative curriculum, the 12 DuBois Business College students enrolled were nearly in disbelief as they toured through the expansive creative design facility. Field said that the instructors who teach the all-things-inventing coursework are finding it easy to share in the students’ excitement. “The teachers are even pumped up about the array of ideas the students already have come up with,” said Field. During their visit to Inventionland, the DuBois Business College students took the opportunity to bounce some of their new product ideas off of Field, which may help to prepare them for the culmination of the course. Similar to the experience that inventors face on the popular ABC TV show, “Shark Tank,” students who are enrolled in the Inventionland Institute coursework will present their ideas to a panel of judges at Inventionland. That panel is to be made up of some of the professional designers and engineers who create new product prototypes at Inventionland each month. As the DuBois Business College continues their inaugural semester of Inventionland Institute coursework, we’ll continue to share photos and other updates on course progress. Check back soon for exciting photos of the Inventionland Institute in action!